“They are doing something. 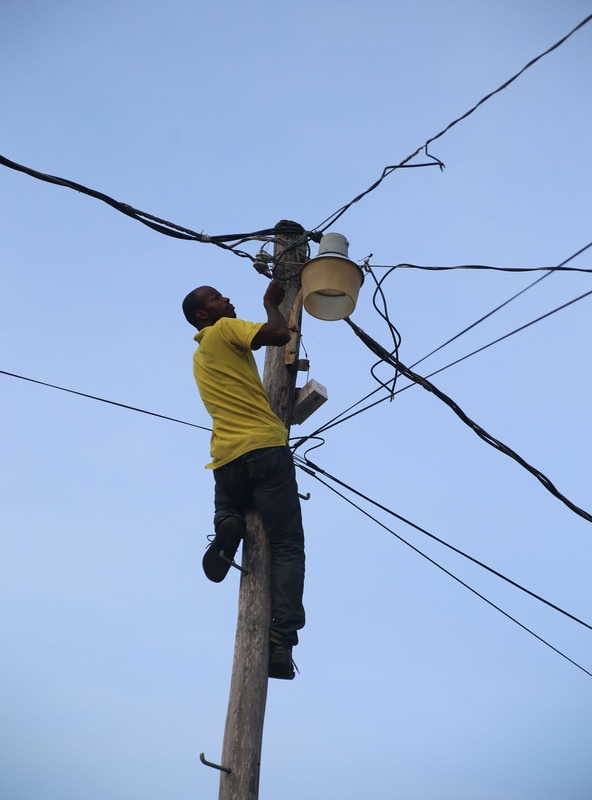 I have to acknowledge that they are doing something but it’s not nearly enough,” this was the refrain of several residents of the Industry /Plaisance Neighbourhood Democratic Council (NDC) when Stabroek News visited over a period of several days. According to residents while they have noted that garbage is collected regularly and drains are cleared several parts of the NDC remain inaccessible due to poorly maintained roads and dilapidated bridges. 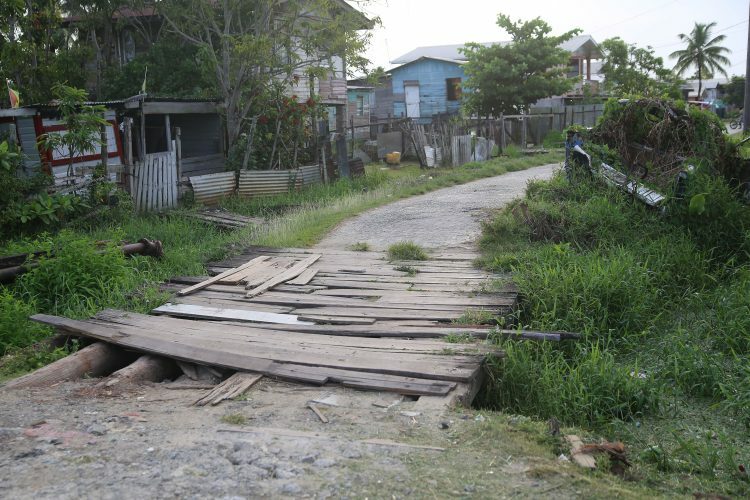 In Constituency 9- Sparendaam (South), Lizona Harper drew Stabroek News’ attention to a bridge at the end of her street which appeared to be bowing under its own weight. A resident in the Industry/Plaisance NDC adds to a large refuse mound while goats scavenge among its contents. One of several bridges residents in the Industry/Plaisance NDC identified as a hazard. 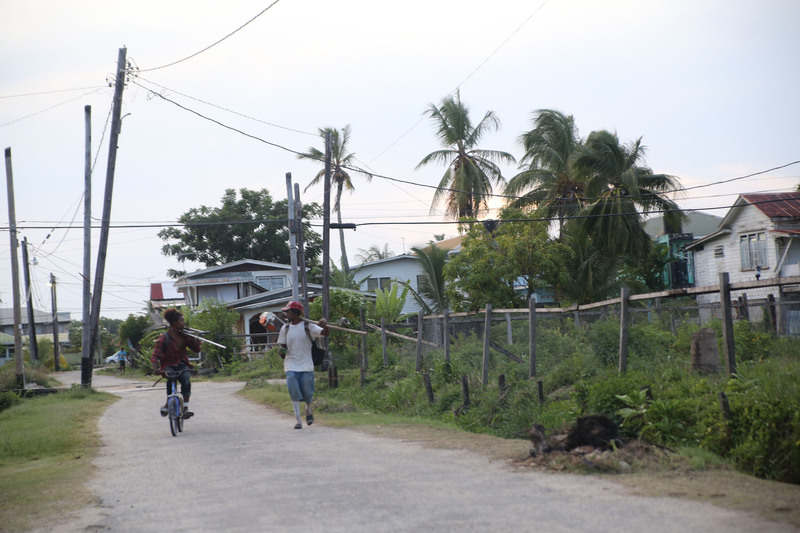 CIIP Worker James Wong and a colleague return home after work. 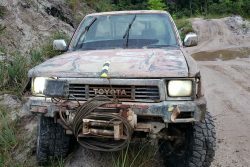 “These bridges are a hazard,” she maintained even as she noted that the main road and bridge in Goedverwagting had been completed. 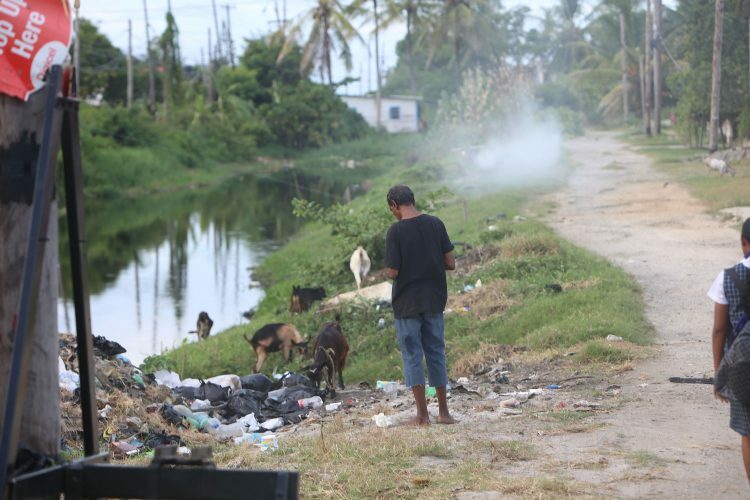 Notably despite claims from both residents and council workers that garbage is regularly collected and drains regularly cleaned, the NDC was visible dirty. Piles of garbage could be found on almost every street corner and the Market and its drains appeared unkempt. 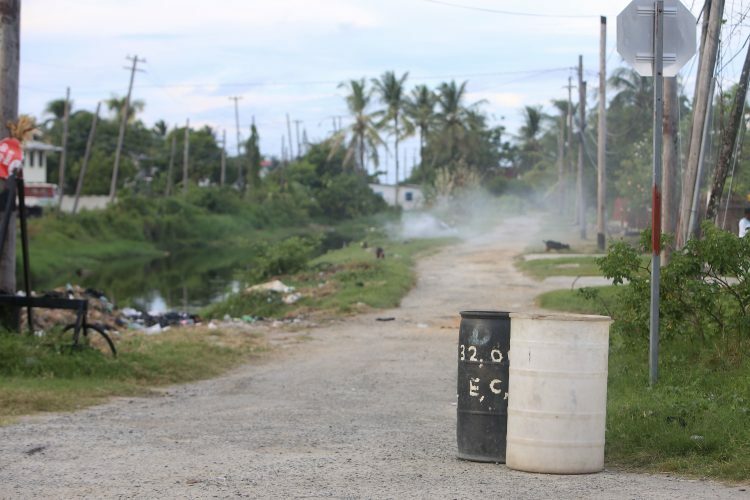 On one visit Stabroek News arrived just minutes after the garbage contractor had visited yet residents were observed burning garbage. Along one street the newly emptied garbage receptacles lay juxtaposed against a background of garbage mounds and grey smoke emanating from a recently lit garbage fire. 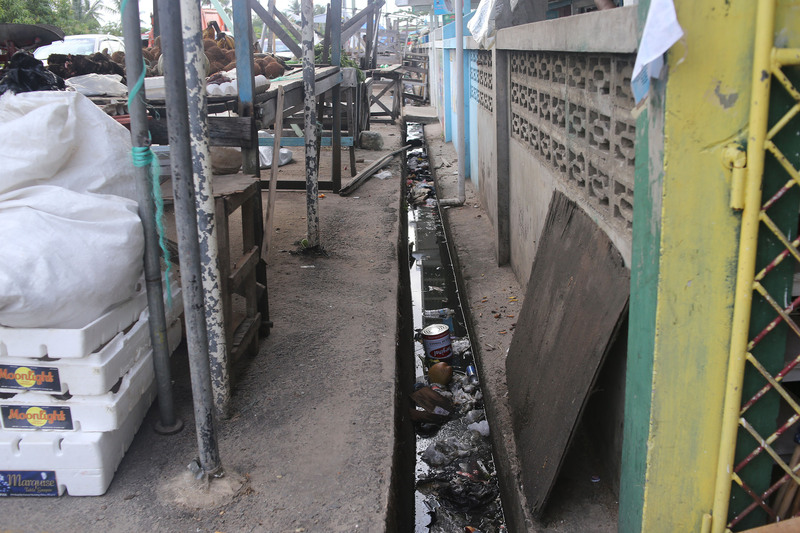 The adjacent drain was littered with household refuse even though residents stated that it had been cleaned less than two weeks previously. Along the front of the Market the drain was a sluggish mass of rotted food and other refuse. Vendors who were approached for comment on the NDC operations stated that they were content with their vending fee of $340 per day and the services provided. They explained that the drains of the Market are cleaned twice a year and garbage collected once a week. They would not comment on whether the collection schedule was sufficient. Current NDC Chairperson Clifford Zamett explained that while the council is trying to do its job they face many challenges not least of which is finances and resident apathy. He could not say what the collection rate of the council was but said that it was low and had not improved over the last three years. However figures from the Ministry of Communities show that the NDC collected in excess of $19 million in 2016. This was 61% of the $31 million the council could collect and significantly more than the $8 million collected in the Beterverwagting/ Triumph NDC. However while BV/Triumph has been able to boast of several projects, Industry/Plaisance has noted that all major projects outside of garbage collection have been executed by the Regional Democratic Council of Region 4. 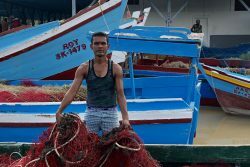 However even these projects appear fraught with issues as several Community Infrastructure Improvement Project (CIIP) workers told this newspaper that the system for payment is simply inefficient. Andrew Springer who has worked with the council for three years explained that it can take anywhere from two to three weeks to two months for workers to be paid for completed works. “They pay but it takes long. Easier payment would mean more workers and better work,” he said. However Springer, too, made sure to note that there has been improvement. “Growing up this village was a mud road so these roads you see are a great improvement,” he stressed. 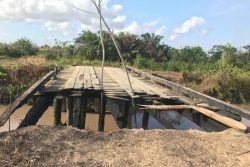 He along with Zamett and another CIIP worker James Wong lamented the state of the bridges. They told of a 2016 fire which completely destroyed a home aback the village though the fire service responded promptly. Questions about specific spending including the use of the $4 million subvention granted annually by Central Government were directed to the Chair of the NDC Finance Committee Shanti Sinclair. 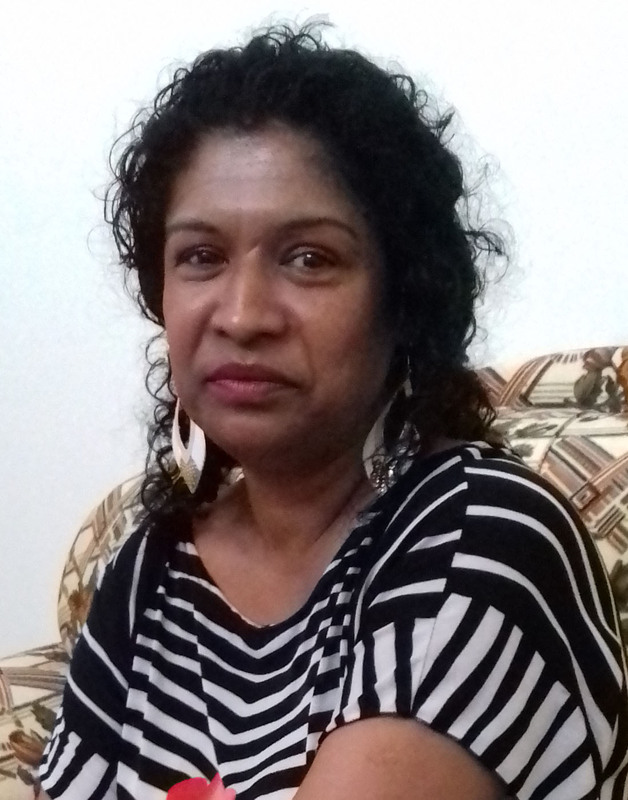 Stabroek News reached out to Sinclair, a PPP/C councillor, over several weeks but was only able to reach her last evening at which time she indicated that she had noted efforts to reach her but did not respond. She further indicated that she was not comfortable speaking over the phone but would make herself available for an in-person interview at a later date. Sinclair who earned her council seat as a PPP/C Proportional Representation candidate does not reappear on the 2018 list of Candidates while Zamett who was elected as a member of the APNU+AFC is currently campaigning as an Independent Candidate. 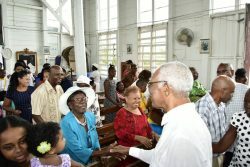 He noted that in entering the Local Government arena he did so intent on serving his community and making it better for his neighbours but has found that difficult to do as part of a party. He explained that as a Pastor he needs to be sure that what he is doing is not contrary to his faith or values especially since several members were not comfortable with him entering politics.